Our recent Leicester property auction once again demonstrated that selling local properties in a Leicester auction room will generate great results! We offered five auction lots on the 18th May 2017, our second auction of Leicester properties for 2017. A good mix of residential properties across the city and county, both for development and those that were ready to rent out, including semi-detached houses, a bungalow and former public house partially converted to form 14 flats. This Leicester property auction achieved an 80% sales success to add to our 83% sales success in February, raising over £1.1 million for our clients. Our next auction is due on the 13th July 2017 and we already have a number of interesting lots to include some residential property for refurbishment and some investment properties offering excellent yields. Looking for advice on buying and selling at auctions? Want more information, let us help you. 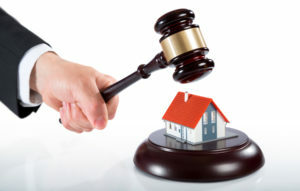 Selling at auction guarantees a speedy sale and the buyer can’t pull out of the sale, just some of the benefits. Not to mention that as a buyer you can grab a bargain property with bags of potential, ideal as an investment opportunity. If you have a property in Leicester or Leicestershire that you are planning to sell we would be happy to carry out a free auction appraisal and advice on the auction process. Call 0116 222 7575 or email us for more information and advice.